A New York City subway train holds 1,200 people. This blog was viewed about 7,900 times in 2013. If it were a NYC subway train, it would take about 7 trips to carry that many people. “Forgetting those things which are behind, and reaching forth unto those things which are before, I press toward the mark for the prize of the high calling of God in Christ Jesus” (Philippians 3:13-14). Jesus issued that exhortation in the context of the Parable of the Ten Virgins (Matthew 25:1-13). Five of the virgins were characterized as “wise” and the other five were “foolish.” All ten virgins fell asleep. Perhaps the expected Bride Groom tarried longer than anticipated, and they all grew weary in waiting. The difference is that the wise virgins were prepared with extra oil for their lamps while the foolish virgins used all they had and made no provision for the unexpected. When the herald announced the coming of the Bride Groom, the wise virgins, prepared with extra oil for their lamps, went on in to be with the Bride Groom while the foolish virgins missed the wedding. Oil is often used to symbolize the Holy Spirit. We who are “born again” have the advantage of the Holy Spirit residing within us, and, like the wise virgins, we have the provision of the Holy Spirit so that no matter when the Lord returns, we will be prepared. However, just like the wise virgins we can become weary of waiting for the Lord’s return, and we lose focus. We fall asleep often distracted by the cares and worries of this world, and we forget to watch. Sometimes we lament, “How long for His return!” While the foolish, distracted and unconcerned, say, “Where is the promise of his coming? for since the fathers fell asleep, all things continue as they were from the beginning of the creation” (2 Peter 3:4). And so, they have no “oil” for their lamps; they are unprepared. Our dinner conversation quickly turned to the topic of eschatology, the study of end times. All of us at the table are on “watch” and anxiously await our Lord’s return. Someone brought up the fact that there are four “blood moons” (lunar eclipses) and a solar eclipse expected on significant Jewish feast days in 2014 and 2015. The first will occur on Passover (April 15) 2014 followed by the second on the Feast of Tabernacles (October 8) 2014. The third will occur on Passover (April 4) 2015 followed by the fourth on the Feast of Tabernacles (September 28) 2015. This infrequent sequence of lunar eclipses has historically held great significance for the Jewish people. For example, when it happened in 1493 and 1494 Jews were expelled from Spain. The blood moons in 1949 and 1950 came right after the nation of Israel was assembled, giving the Jews a homeland for the first time in thousands of years. And in 1967 and 1968 it was linked to the Six-Day War. In addition to this, a solar eclipse is expected on March 20, 2015. This date equates to Nisan 1 on the Jewish calendar which is New Year’s Day on the Jewish religious calendar. When measured against Scripture, these phenomena should make us pay attention. When God initiated these feasts (there are seven), He said, “these are My feasts.” “Speak unto the children of Israel, and say unto them, Concerning the feasts of the LORD, which ye shall proclaim to be holy convocations, even these are my feasts” (Leviticus 23:2, emphasis added). Besides the seven, modern Jews celebrate Purim and Chanukah, but these are not “feasts of the LORD.” The Feasts of the Lord is a fascinating study, which I cannot cover in this brief article. They hold great significance as they reveal God in the Person of Jesus Christ and demonstrate His plan for the ages. The fact that this sequence of blood moons, along with the solar eclipse, looms in our immediate future has many who study eschatology excited for the prospect of Christ’s imminent return. “The sun shall be turned into darkness, and the moon into blood, before the great and the terrible day of the LORD come” (Joel 2:31, emphasis added). How are you fixed for oil in your lamp? “Ye are the light of the world” (Matthew 5:14). Are you prepared for the Lord’s return? Perhaps this year! Perhaps today! 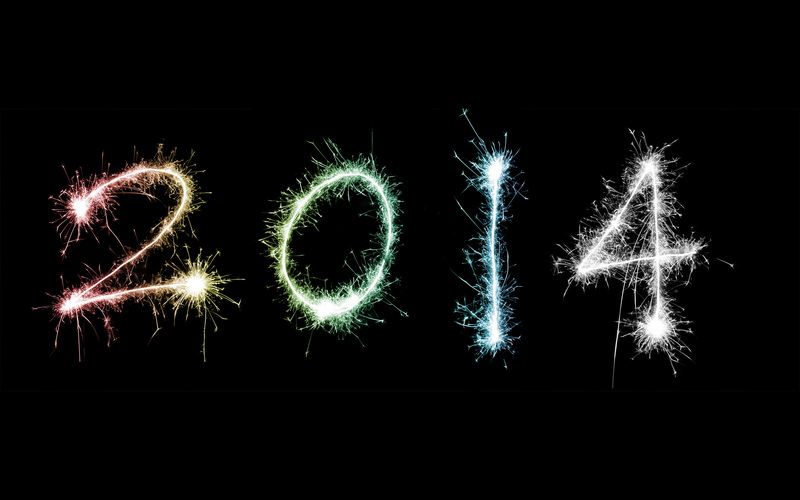 Comments Off on Perhaps This Year! Bejeweled as an empress displaying her might. The wisest of wise appraised a new sight. A dazzling new object had joined the host. The seekers trekked westward across the hot sands. To the City of David, and the Savior of man. — The form of a cross in full detail. Who with the Mighty King did abide. The child in the house did their sorrow consign. The King of all kings gave His life to conclude. This has been my favorite Christmas carol ever since hearing it as a small girl. Its message is powerful and beautiful because it takes our reality so seriously. It is only when we see how badly we needed a Savior to rescue us that we feel the joy and wonder that He really did come for us. Technically, this isn’t a Creation Hymn because the author doesn’t tell us why we were “pining” (that means slowly dying) in sin. It also doesn’t tell us why the soul hadn’t “felt its worth” before Jesus’ coming. But we know where to find the answer to those questions! All our misery and emptiness started one day, at the beginning of time. It’s the first history recorded after God tells us how He made everything. One of the best arguments against the birth of Christ having taken place in late December is this fact recorded by Luke in his Gospel. There were shepherds out in the fields watching over their flocks. By late December, there is not sufficient grazing to sustain large flocks of sheep. Jerusalem is near the same latitude as Dallas, Texas where I live. By the middle to the end of November, there is not much left for cattle to graze on, so they need to be fed on hay or “cake.” So it seems very unlikely that shepherds would be out in the fields in the winter time. 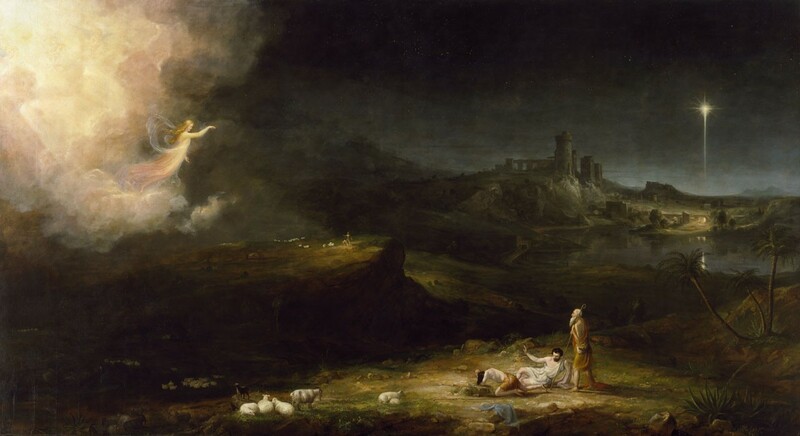 The shepherds around Bethlehem generally kept the sheep and goats that were used for sacrifice in the Temple in nearby Jerusalem. 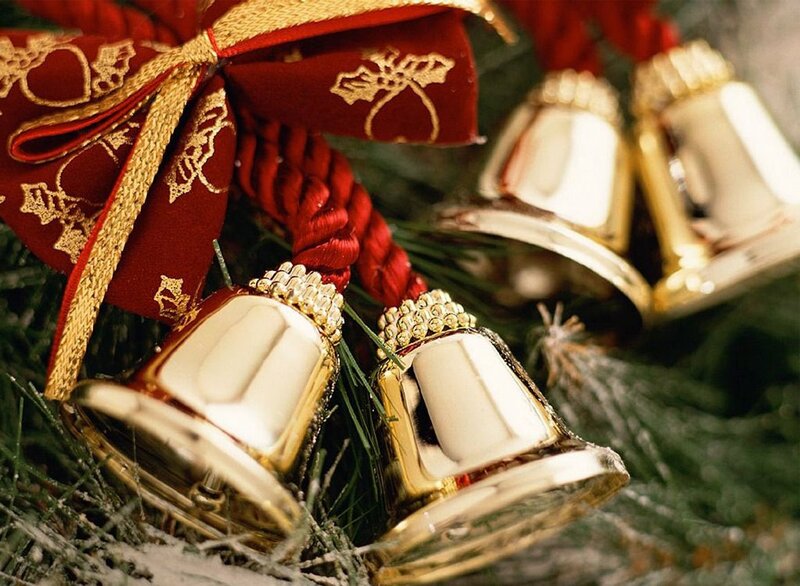 Some have suggested that Jesus’ birth was around late September which coincides with the Jewish Fall Feasts: Feast of Trumpets (Rosh Hashanah), Day of Atonement (Yom Kippur) and Feast of Tabernacles (Sukkoths). These were feasts that required all Jewish men to make a pilgrimage to the Temple in Jerusalem. The fact that this requirement happened to coincide with the decree from Caesar Augustus for the census (Luke 2:1) may explain why “there was no room for them in the inn” (Luke 2:7) for the expectant couple. In fact, His birth may have occurred during the Feast of Tabernacles making John’s statement that “the Word was made flesh, and [tabernacled] among us” (John 1:14) even more significant. Interestingly, if one counts back nine months from the end of September, one arrives at a date sometime in late December. It could be that rather than celebrating Christ’s birth on December 25, we are actually celebrating His conception! Regardless, it was to these simple shepherds that this paramount announcement was delivered. “For unto you is born this day in the city of David a Saviour, which is Christ the Lord” (Luke 2:11). To these shepherds who were known for feeding and protecting their flocks; who sought out the lost sheep, and rescued those that were attacked. It seems appropriate that to these the news of the arrival of the “Shepherd of Israel” should be first delivered. He who would later say, “I am the good shepherd: the good shepherd giveth his life for the sheep” (John 10:11) had come. 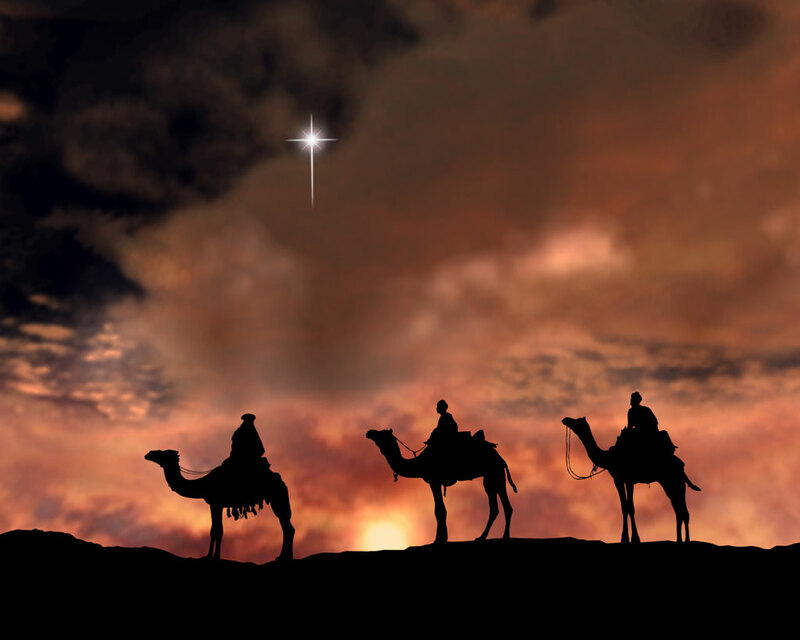 So without hesitation they said, “Let us now go even unto Bethlehem, and see this thing which is come to pass, which the Lord hath made known unto us” (Luke 2:15). They came “with haste” Luke tells us, “and found Mary, and Joseph, and the [Lamb of God] lying in a manger” (Luke 2:16). His name was Jesus, “for he shall save his people from their sins” (Matthew 1:21). This little Lamb of God, who was to be the Shepherd of shepherds, had finally come to them. Peace. Such an elusive word. So full of hope, and yet so seemingly unattainable. The angels proclaimed “peace on earth, and good will toward men” as they announced the Savior’s birth that holy night. There was no peace on earth at the time of that proclamation. The Roman Empire was in control of a major part of the western world, and there was unrest in the land of Judea as one uprising after another was crushed by the heavy hand of the Roman legions. Things then were not much different than what we see today – unrest in the Middle East, the constant threat of war, Korea bent on becoming a nuclear power, China vamping up her navy and playing havoc with the American economy, Europe on the verge of economic collapse. There is no peace on earth. God is not dead, nor doth He sleep. With peace on earth good will to men. Joy to the world the Lord is come! And heaven and nature sing. Joy to the earth! the Savior reigns! Or thorns infest the ground. And wonders of His love. Writing almost 800 years before the first advent, the prophet Isaiah proclaims, “For unto us a child is born, unto us a son is given: and the government shall be upon his shoulder: and his name shall be called Wonderful, Counsellor, The mighty God, The everlasting Father, The Prince of Peace” (Isaiah 9:6). The tiny babe Whose birth we celebrate this Christmas is the hope of peace for a troubled world and the realization of peace for those who know Him as Savior. Let us find our peace in Him! 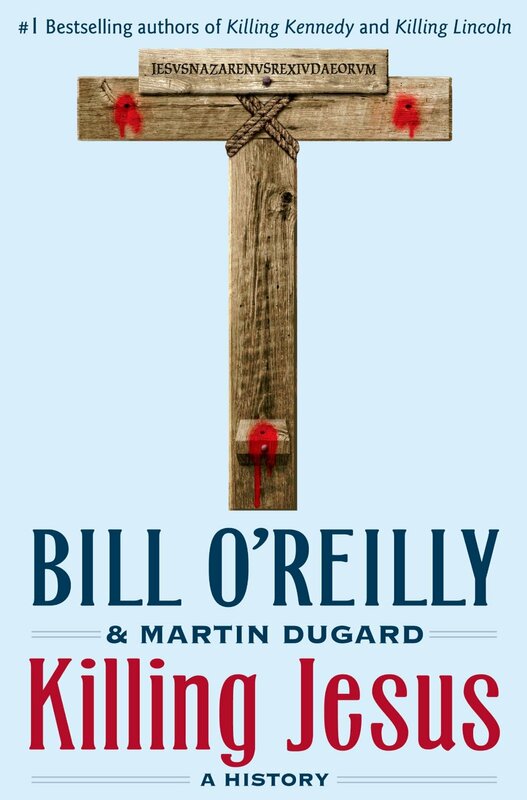 Since Bill O’Reilly, commentator and host of the O’Reilly Factor on the Fox News Channel, came out with his latest book, Killing Jesus: A History, Christian “Evangelicals” have turned out to opine on the work. Some, like the pastor of the First Baptist Church of Dallas, Texas have given the book rave reviews and even encouraged Christians to buy and read the book. Others have not been so kind. Since the pastor of the First Baptist Church of Dallas happens to be my pastor, I thought I would take him up on his recommendation. Having done so, I will now attempt to offer my hopefully “fair and balanced” review of the book. First of all, I will say that Mr. O’Reilly and co-author Martin Dugard make an excellent writing team. I first experienced their work in Killing Lincoln, which I thoroughly enjoyed. Killing Jesus is no exception. The text flows very smoothly, and it entices the reader to continue non-stop. Had I the luxury of uninterrupted time to sit with a book, I might have been tempted, but alas, I had to consume it in short bursts. That gave me the advantage of time to ruminate on the content so that I am less likely to give a knee-jerk assessment of the work. For what it is, I would recommend it to anyone who enjoys historical or biographical genres. It is not a spiritual book or a book that it is written in a way that honors or glorifies Jesus of Nazareth for Who He is – the Creator, Savior, and King of kings and Lord of lords – nor is it blasphemous in any way. It is just matter-of-fact. The authors present Jesus as an actual historical personage who impacted the world in a significant way. “To say that Jesus of Nazareth was the most influential man who ever lived is almost trite. Nearly two thousand years after he was brutally executed by Roman soldiers, more than 2.2 billion human beings attempt to follow his teachings and believe he is God” (p. 1). The authors admit: “We do not address Jesus as the Messiah, only as a man who galvanized a remote area of the Roman Empire and made very powerful enemies while preaching a philosophy of peace and love” (p. 2). This approach should not come as a surprise since O’Reilly has often expressed and asserted his conviction that Scripture is allegorical and not to be taken literally. That brings into question his use of the Gospels as a historical resource. Indeed, he admits, “Of course we have the Gospels of Matthew, Mark, Luke, and John, but they sometimes appear contradictory and were written from a spiritual point of view rather than as a historical chronicling of Jesus’s [sic] life” (p. 1) If the Gospels are allegorical, as O’Reilly claims, then this book, as a history, is not worth the paper it is written on. Would a true historian rely on allegory to construct a factual account? To be fair, the authors also rely on extra-biblical sources to compose their story. It seems, however, that the Bible is only used to “fill in” where secular historians are silent. But, let us set that aside for the moment. Evidently, the Gospel account failed to provide sufficient content to accomplish the purpose of this book, so the authors devoted the first third of the book to early Roman history to help set the stage for the main course and perhaps to add a little spice with the depravity of the Roman emperors. I am not a historian, so I will defer to Mr. O’Reilly on the accuracy of these accounts. My strength is in Scripture, and in that regard I can give an honest assessment. The authors get the Gospel account right for the most part. I was especially surprised by a footnote that informs us that “The Gospels clearly state that Jesus had four brothers: James, Joseph, Judas, and Simon. They also mention that he had sisters, but the number is not specified” (p. 79). O’Reilly and Dugard are both practicing Roman Catholics and for that reason the admission is remarkable. The footnote continues: “The Roman Catholic Church believes Mary remained a virgin throughout her entire life. This doctrine was first put forth four centuries after Jesus lived by an early leader in the Church named Simon. The Church considers the siblings mentioned by the Gospels to be Jesus’s [sic] cousins” (p. 79). The authors also get it right when they describe two separate temple cleansings by Jesus, one at the beginning of His ministry and one at the end (pp. 126, 192-193). Many Bible scholars miss this point, but sadly, the authors attribute this to error rather than accept it as fact. “Before being written down, the Gospels were oral histories. This might explain some discrepancies among them. The story of Jesus and the money changers is placed at the beginning of Jesus’s [sic] ministry in John (2:14-22), while [the other Gospel writers] all place it at the end. This has led some to speculate (emphasis added) that Jesus performed this cleansing twice, as specific details of the various Gospels account differ” (p. 126). Had the authors taken the time to seek a resolution to the “discrepancy,” as any good historian should do, they may have discovered that John was with Jesus from the very beginning. Matthew came along after the fact, and Mark and Luke were not a part of the original group of disciples. To these men, the last cleansing was most significant because it occurred in Jesus’ final week. All the Gospel writers had differing objectives in relaying their message, and so they tell the story from their individual perspectives. John’s purpose for his Gospel was to present Jesus as God. For him, the first cleansing establishes Christ’s divinity from the very beginning. You will recall John 1:1 “In the beginning was the Word, and the Word was with God, and the Word was God.” There is no discrepancy here, except in the minds of these authors. But they should at least get credit for recording two separate events (pp. 192-193). Since John wrote his Gospel last, surely he had access to those written previously, so his placement of the temple cleansing was not by mistake. John had a point to make as did the other Gospel writers, and all were accurate in their record. Another point missed by many Bible scholars is in trying to synthesize the different accounts of Jesus’ anointing into one event. O’Reilly and Dugard at least distinguished two different accounts: the anointing at the house of Simon the Pharisee in Galilee before the Transfiguration (Luke 7:36-50, p. 144) and the anointing at the house of Simon the Leper in Bethany following Jesus’ Triumphal Entry into Jerusalem (Matthew 26:6-13, Mark 14:3-9, p 209). It is easy to see how these two separate events could be confused since both hosts are named Simon, but O’Reilly and Dugard correctly identified the two as separate events. However, they failed to include a third anointing which took place in (supposedly) the house of Lazarus, whom Jesus raised from the dead. This account is found in John 12:1-7 and precedes the Triumphal Entry. Martha, as usual, is serving and Mary, her sister, performs the anointing. I cannot be too critical of the oversight, since many Bible scholars make a worse mistake by trying to reconcile the three separate events as one. The authors accurately record the Gospel accounts for the most part, but given O’Reilly’s presuppositional conviction on the allegorical nature of Scripture, several errors creep into this work. Take for example the baptism of Jesus by John the Baptist (p.103). The Gospel of John 1:29-40 records the baptism, but does not record the interchange between The Baptist and Jesus. As stated earlier, John’s purpose in writing his Gospel was to demonstrate the deity of Christ, and so minor details are unimportant to his account. Instead, John focuses on the Spirit of God descending upon Jesus in the form of a dove. The other Gospel writers also record a voice from heaven saying, “This is my beloved Son, in whom I am well pleased” (Matthew 3:17; Mark 1:11; Luke 3:22). But instead, John focuses on the words of John the Baptist: “And I saw, and bare record that this is the Son of God” (John 1:34, emphasis added). In this passage, we learn that John, the writer of this Gospel, was a firsthand witness from the very beginning. “One of the two which heard John speak, and followed him, was Andrew, Simon Peter’s brother” (John 1:40). The “one” not mentioned is John who never mentions himself by name throughout his Gospel. Because of their myopia to the literal accuracy of the Gospel text, the writers of Killing Jesus appear somewhat incredulous that a dove coming out of nowhere should light upon Jesus and remain on him. “Suddenly a dove lands on Jesus’s [sic] shoulder. When Jesus makes no move to shoo it away, the bird is quite content to remain there” (p. 103). Looking at it that way, I believe I would be a little incredulous myself. These kinds of errors are systemic throughout the book. Another kind of error in this book is that of adding to Scripture. For example, on the account of the baptism of Jesus as He comes out of the water, the writers say, “The believers drop to their knees and press their faces into the earth. Jesus does not react to this sign of worship. He does nothing to discourage it either.” (p. 104). That is nowhere to be found in Scripture, certainly not in any of the Gospels, but the authors cite no references to substantiate that detail. The writers quote John 1:34 (quoted above) and then add, “The crowd remains on its knees as Jesus steps onto the shore and keeps on walking” (p. 105). This must be something the authors learned in catechism, which perhaps explains why no reference is cited, but it has no basis in Scripture. I understand that the authors are attempting to keep a detached and “objective” perspective, but I found one statement to be rather insulting to our Lord. In telling about the calling of Peter and Andrew (Matthew 4:18-22; Mark 1:16-18; Luke 5:4-10) They recount that Jesus got into Peter’s boat and asked him to push away from the shore so that He could speak to the crowd that had assembled, “Though he [sic] knows next to nothing about fishing” (p. 136). In the first place, Jesus grew up in Nazareth, which is not that far from the Sea of Galilee; I am sure He would have known something about fishing. Furthermore, this is God who created fish and fishermen. That He knows something about fishing is demonstrated in that He gave instructions to lower the nets after the men had fished all night and came up empty, and the catch was more than they could handle. So, I find the assessment that Jesus “knows next to nothing about fishing” a little demeaning. In the same account, the authors claim that Peter was “A fisherman in his early twenties” (p. 137). Most scholars believe that Peter was probably around Jesus’ age or perhaps a little older. Again, the authors cite no references for this claim. Other errors include the claim that the raising of Lazarus from the dead is a “legend” (p. 199 footnote). They mistake Jesus’ assessment of the Greatest Commandment as a “new” law, but oddly, in the footnote they cite Deuteronomy 6:5 (p. 205). This Greatest Commandment was nothing new; the Deuteronomy reference harkens back to the First and Second Commandments (Exodus 20:3-4). They also confuse Jesus’ agony in the Garden of Gethsemane as “panic” (p. 212). Jesus knew His mission from the very beginning. Luke records: “And it came to pass, when the time was come that he should be received up, he stedfastly set his face to go to Jerusalem” (Luke 9:51, emphasis added) indicating that Jesus was determined to go through with His sacrifice. There was no “panic” in Him. Finally, in the “Afterword,” the writers wrongly attribute the description of “a woman clothed with the sun” in Revelation 12:1 to Mary, the mother of Jesus. This obviously comes from the authors’ Roman Catholic doctrine. More than 1920 years after the time of Christ, “On November 1, 1950 the Roman Catholic Church decreed that [Mary’s] body had been ‘assumed into heaven’” (p. 265). If the authors had bothered to research this in greater depth, they may have learned that the “woman” described in Revelation is Israel, not Mary, and the child she bore is Jesus. The reason nothing more is heard of the woman, is because she, Israel, has not, and will not be destroyed as a nation. However, I would not expect Mr. O’Reilly to accept that explanation. My final assessment of Killing Jesus: A History is that it is a well written book, easy to read and entertaining. I would not take it seriously as a “history” given that the authors view the Bible as allegory, and allegory is a highly questionable resource when trying to document real history. Admittedly, the authors assert that this is not a spiritual book, and because of that this book has little value from a spiritual perspective. Some supposed Christians claim that the book has strengthened or renewed their faith. That may be true if the “Christian” doubted the historicity of Jesus in the first place. This book might have some value in that regard. I would not recommend this book as a “witnessing” tool as it gives a very poor witness. As I stated at the beginning, the authors are not blasphemous in any way, but at the same time, they do not give Jesus His proper due. He is presented as a mere man on a mission who got on the wrong side of the governing and religious authorities. There is more to Jesus than these authors portray. The book presents Him as a victim ignoring His very words, “I lay down my life for the sheep … No man taketh it from me, but I lay it down of myself” (John 10:15, 18). Jesus is God, whether “some” believe it or not, and the Bible is not allegory. Killing Jesus might have been a better book, if the authors had taken the Gospel account seriously and literally. That said, I would not discourage anyone from reading it, but I would caution against taking it seriously. Direct quotes are denoted with the page number on which they are found in the book.